Polart’s fine Giovanna polyurethane chairs are engineered to stand up to water elements including exposure to saltwater, rainwater and swimming pool water, with great ease. 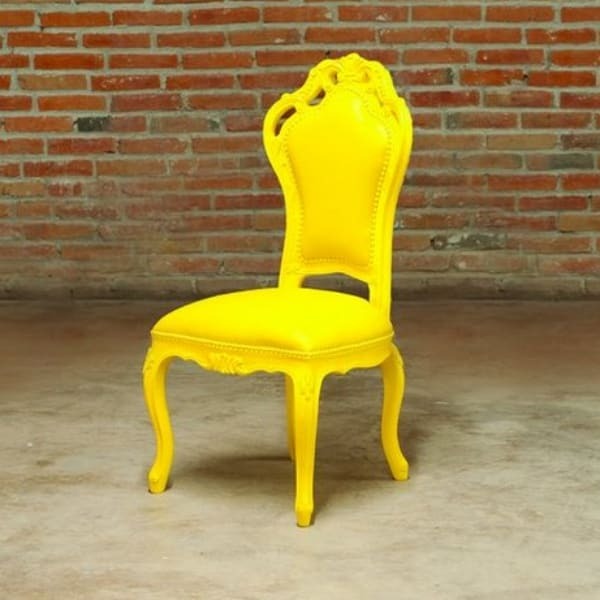 Giovanna chairs are made to combat deterioration like splintering, fading with UV exposure, and melting. A strong metal core is fully wrapped in polyurethane to create the chair’s frame. The polyurethane protects the steel core to prevent any rusting. Then, the cushion and comfortable seat backs are both made with injected molded HDPE material. That means that the cushion and seatback are one with the chair, rather than sewn together or otherwise attached. The all-in-one build promotes long-term outdoor use without signs of deterioration. The seat sits at 20’’ high, making it a possible heavy-duty fashion accent to an outdoor dining set.